Copyright (c) 1988 by Ralph Schoenman. All Rights Reserved. Reposted here by permission. 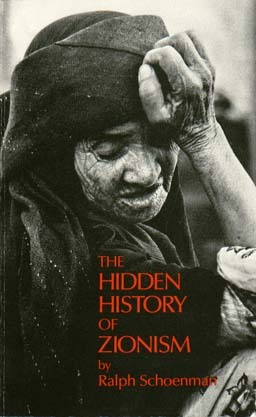 The Hidden History of Zionism by Ralph Schoenman is presented online for personal use only. No portions of this book may be reprinted, reposted or published without written permission from the author. Ralph Schoenman broadcasts weekly on WBAI-NY. Taking Aim with Ralph Schoenman and Mya Shone has a collection of archives at http://takingaim.info. Contact Ralph Schoenman takingaim (at) pacbell (dot) net. This text has been copied with permission from the REDS – Die Roten site. The text was originally marked up by Alphonsos Pangas for Balkan Unity and Einde O’Callaghan for REDS – Die Roten and ETOL.